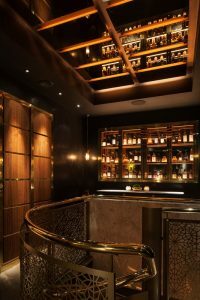 Set on Albermarle Street in the heart of Mayfair, Indian Accent arrives in London following two highly acclaimed restaurants in New Deli and New York, both having sat in the World’s 50 Best List. Headed up by Chef Manish Mehrotra, regarded as one of the most exciting modern Indian chefs globally, and owned by leading restaurant group Old World Hospitality. 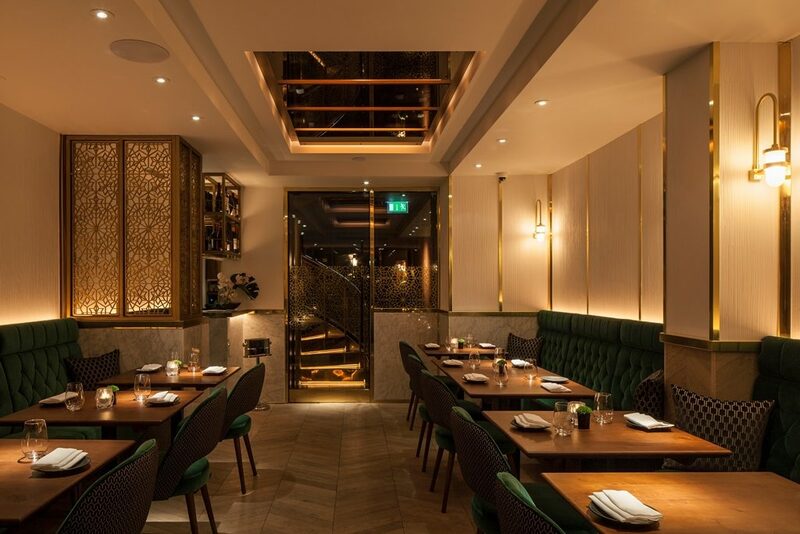 DesignLSM were briefed to create a luxurious, refined dining experience as a backdrop for the innovative Indian cuisine, referencing the colour and materials of traditional Indian architecture. 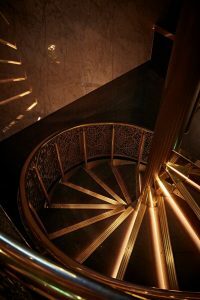 On entering Indian Accent, guests are greeted in a warm and atmospheric lobby, which provides a glimpse into the main restaurant area through opulently decorated glass doors. The space is adorned with natural stone flooring, dark grey polished plaster walls and walnut joinery framed with a thin brass edging. 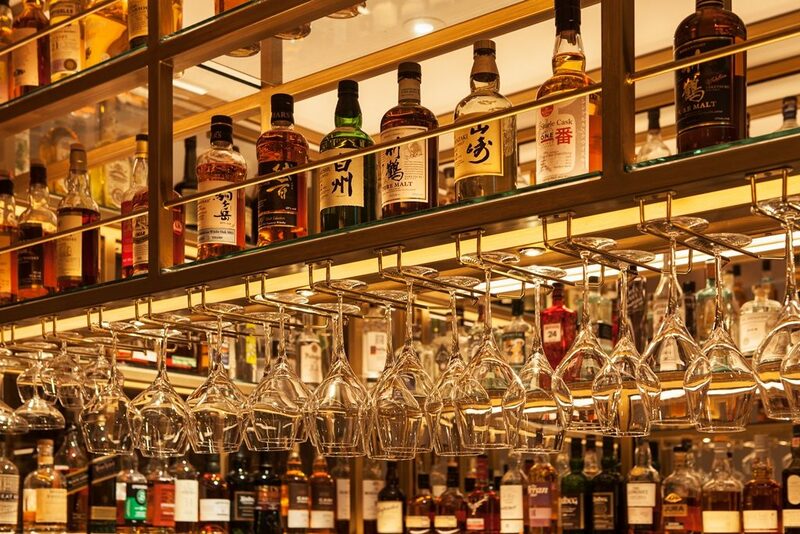 The dominant feature is the traditional liquor display cabinet showcasing a vast array of the world’s finest whiskeys. Indian Accent opened in late-December and is already listed as one of London’s best new restaurants. Manish’s highly crafted skills in fusing classic Indian dishes with global influences sees unique dishes being offered alongside a selection of fine wines, whisky and cocktails for their patrons delight revealing the delicate blend of Indian spicing and global cuisine.